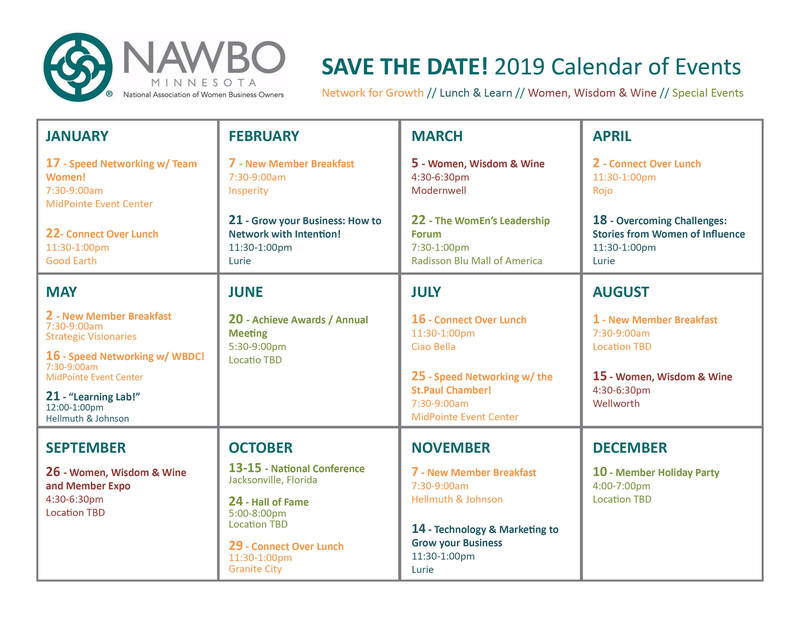 The National Association of Women Business Owners – Minnesota Chapter (NAWBO-MN) provides a local avenue for women entrepreneurs to connect with their peers. Women business owners, large and small, join together for regular networking, educational programs, mentorship and support. Nationally, NAWBO was founded in 1975 to open doors for women entrepreneurs by transforming public policy and leveling the playing field. Representing the issues and concerns of women-owned businesses at the national, state and local levels, NAWBO is in the forefront of advocating on behalf of women business owners and the issues that impact their companies. We encourage you to be a Learning Lab host; all members are invited to participate! Click here to download & fill out Learning Lab speaker request form. For more information, please contact Julie Kimble, Programming Chair and board member at juliekimble@kimbleconsult.com.